“Love So Fine” is something of a lost A&M hit. It sounded like it should have been a smash on the charts, yet it was pretty much forgotten over the years. Diehard fans of Roger Nichols with his Small Circle of Friends hadn’t forgotten, and Herb Alpert covered this with his Tijuana Brass on the Herb Alpert’s Ninth album. After a decades-long absence, Nichols and the Small Circle of Friends have released two albums in recent years, well worth seeking out if you liked their smooth vocal sounds from the original A&M album! First new Herb Alpert vinyl releases in decades! Vinyl collectors have every reason to celebrate today: after decades of digital releases, two noteworthy Herb Alpert titles make their debut on vinyl today! 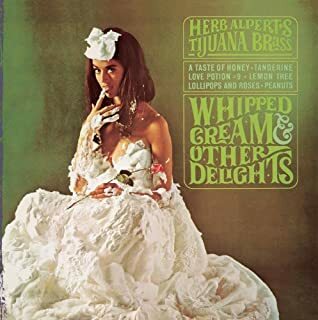 The groundbreaking classic Tijuana Brass album Whipped Cream & Other Delights has been reissued on 180 gram vinyl, mastered by Bernie Grundman, himself an alumni of A&M’s mastering studio. 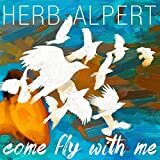 In addition, Herb’s warmly received new album, Come Fly With Me, also sees its vinyl release today. Both are now available at your favorite vinyl outlet, and via Amazon; click the links above to check them out. Check back here soon, as the Tijuana Brass Christmas Album is due to be released in the coming weeks as well. Once we receive our review copies, we will post our impressions here. Join our forum discussion.